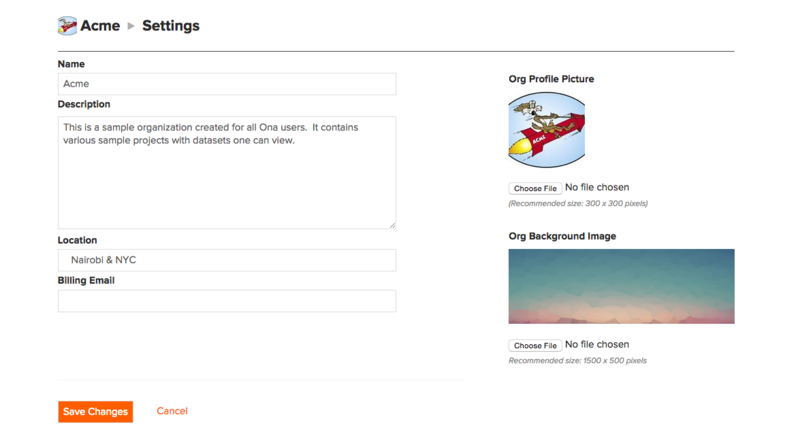 An organization account on Ona allows you to better organize and manage your group-owned projects and data. Org accounts have advanced permission levels over individual accounts. This means an org admin can add other members to the organization and share admin privileges with them, or they still have the option of maintaining access privileges at the project level, by assigning individual collaborators to one project at a time. Org accounts are a great option for international organizations that implement projects in multiple countries or regions or for companies that simply require better data management and access controls for members on their team. A user can even manage multiple organizations from a single Ona account, obviating the need to maintain separate accounts for each project. 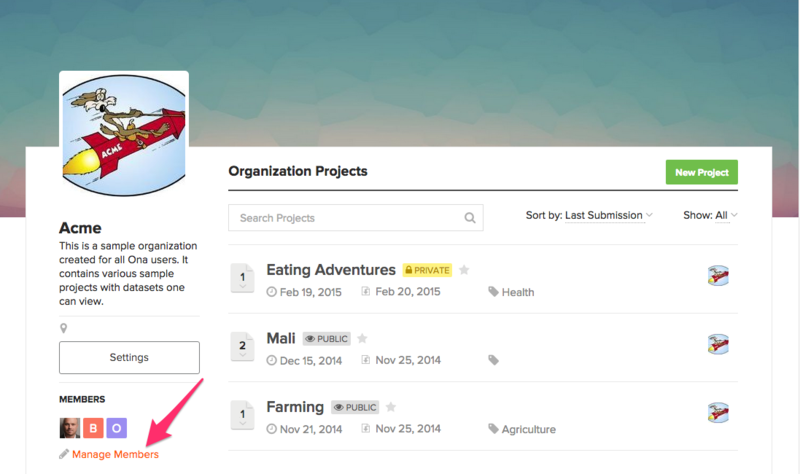 To create a new organization account, click on the New Organization option from your account dropdown menu. Whichever account you are currently logged in to will be the new organization account owner. You can also create an organization account from your Plan tab in your Settings page by clicking on the Create new organization link under the Organization Info section. Enter the name, username, and organization billing email of your new organization account, then click on Continue. The org username will be used in the url. We suggest something that is short, like a Twitter handle. The organization billing email is the email address that all the emails regarding the organization account will be sent to. This includes payment invoices and emails on failed payments among others. Clicking on Continue will redirect you to the subscription plan page. 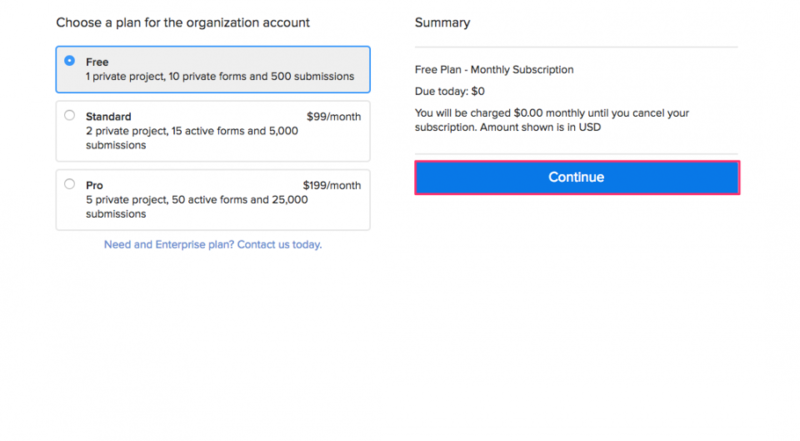 Choose the Free plan if you do not want to subscribe to a paid plan. Then, click on the Continue button. Note: If you would like to purchase a paid plan, please see the Purchasing a Plan in Upgrading an Account. This will redirect you to your personal account home page. From your personal account home page, you can access your newly created organization account by clicking the Organization drop down and selecting your organization. This will redirect you to your organization’s home page. 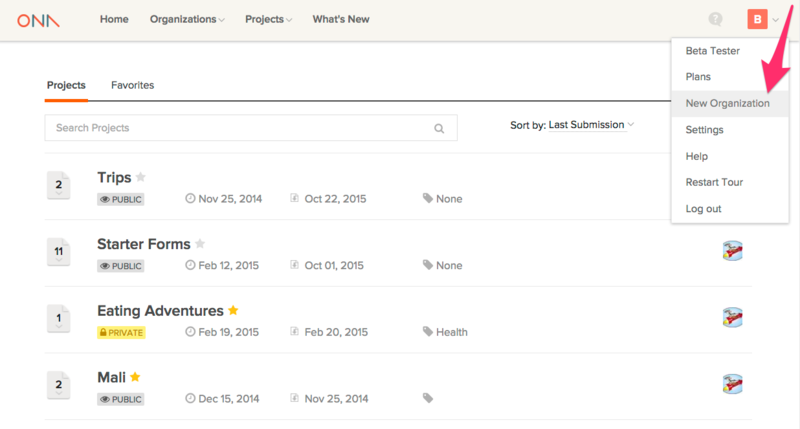 Create your first data collection project and start collaborating with other users. 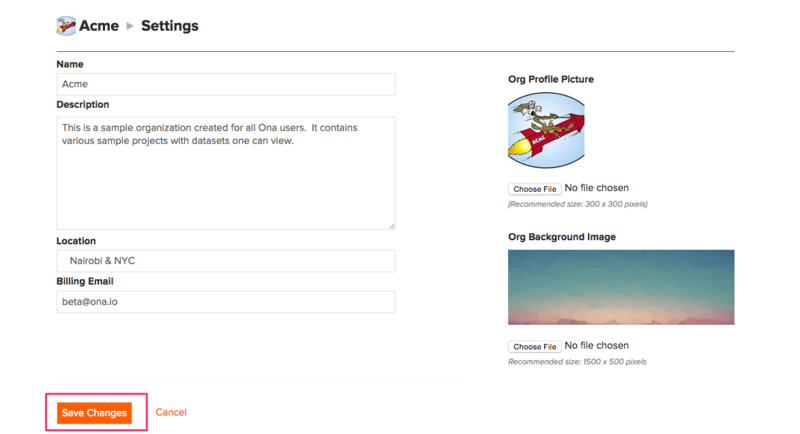 Organization Settings page is where all the information about the organization (org profile picture, org name, description, location, etc.) can be added. If you do not see the Settings button, it means that you do not have permission to access the page. Only an org Admin can access this page. The recommended size for the Org Profile Picture is 300 x 300 pixels, and the Org Background Image recommended size is 1500 x 500 pixels. Organization members are other Ona users who have been added to the organization by an org admin and have access to the projects within the org account. New members of an organization fall into one of three org roles. 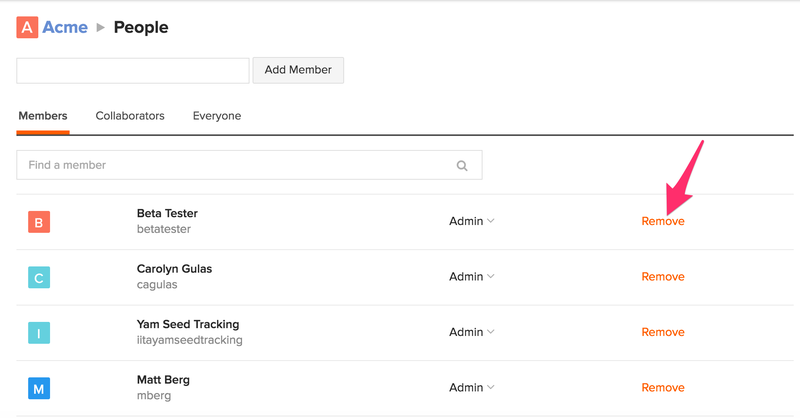 Org admins can add new members and assign them roles on the member list page by typing their Ona username in the top left search bar. To be added to an organization, a member must have an existing Ona account. We do not support sending member invitations to join at this time. Read more on signing up for a new account here. To add a member, enter the member’s Ona username in the top left box and click the Add Member button. Once added, the new member will appear in the Members list below. If you do not see a text box to add members, you do not have permission to add members. New members will automatically be assigned the Member role. Click on the dropdown next to the member to change their role as shown in the screen shot below. Organization roles and their permissions in the organization are explained in the Organization member roles section below. To learn more how org members differ from project collaborators please have look at this post. The three organization roles are Admin, Project Manager and Member. By default, the user who creates the organization is granted Admin role. An organization can have more than one admin. In addition to the three organization roles above, a user can also be added individually to a project within the org and become an organization collaborator. An organization collaborator is a user that is shared on an organization project but isn’t part of the organization. When viewing the organization home page, organization collaborators will see the list of projects that they have been added to and the list of organization collaborators. They will not be able to see the list of organization members, organization settings, or any other projects in the organization. Organization members that are no longer part of your organization and have left can be removed from the organization. This denies them access to projects, forms, and data that should be kept private and should be only accessible to members who are an active part of your team. Removal of members from organizations can only be done by an Org Admin. 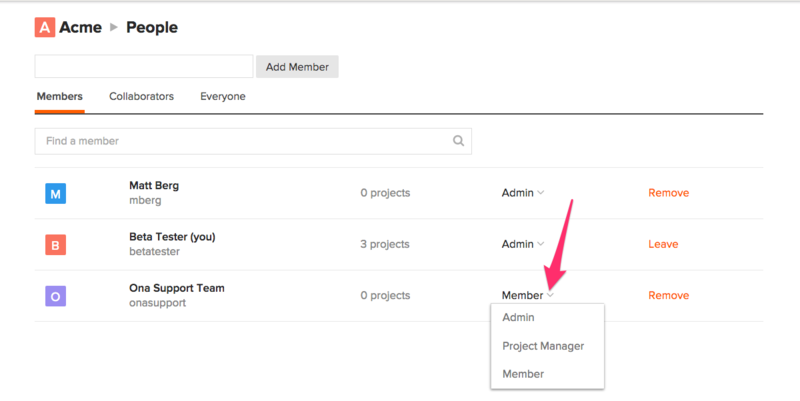 To remove an organization member, Select Manage Members on the organisation’s home page. 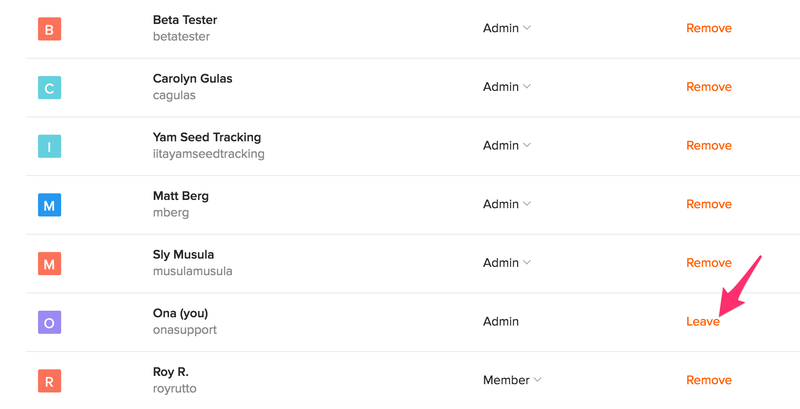 Find the name and username of the member you’d like to remove from the members list on the Org Members page and click on the Remove link. A member can opt to leave an organization if they are no longer working with the organization. To leave an organization, click on Leave link on the Org **Members **page. Once you leave an organization, you lose access to the projects, forms, and data within that organization. 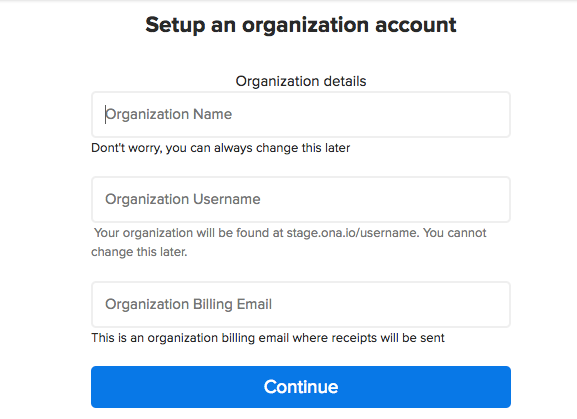 To make someone else the owner of an organization account, you need to make sure there’s at least one additional org admin and make sure Ona has updated billing information. If you are the only admin of an organization, you won’t be able to leave the organization until there is another admin member. Add a member and change that user’s role to Admin. Email the other admin user(s) to check if they have access to admin settings for the organization. If you are the main contact with Ona and handle billing, email Ona Support to make sure they have the contact’s information so billing and service is uninterrupted. An organization project lives in the organization account and will contain all of the forms and data related to the project. Follow the instructions provided in the Create a project guide. An organization project can have multiple admins (the project creator and all org admins have admin permissions on the project as well as other users who are added invidually to the project as an admin). 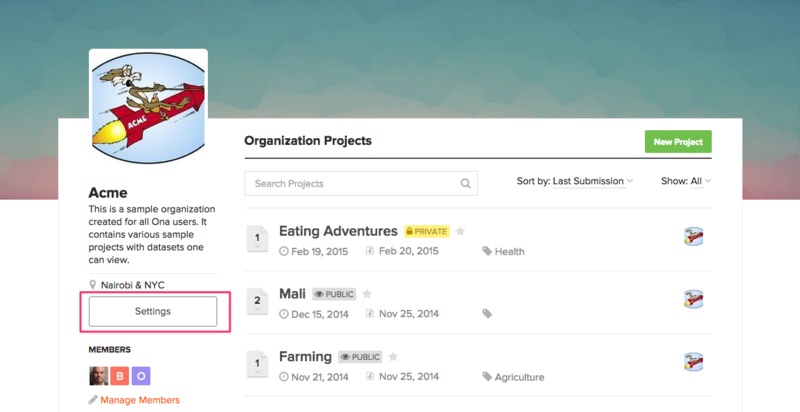 In the organization project share modal, the Members in [organization name] group is automatically added, and a project admin can adjust the permissions to the group of org members. This obviates the need to add each org member individually to each project. In addition to the regular project permission levels, a project admin can also select Cannot view role for the Members in [organization name] group. 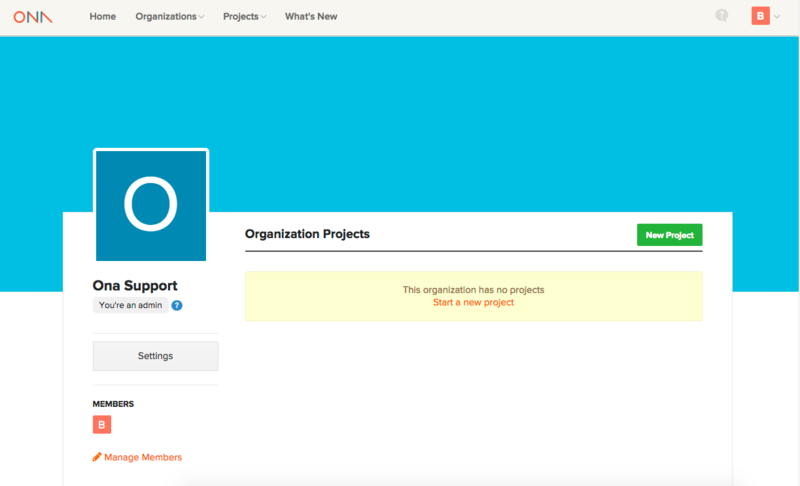 An organization project will not show up in an individual’s home page project list unless she or he is specifically added to the org project’s share modal (i.e., you have a specific line in the project share modal and not just part of the org admin or org member group). Similarly, any forms within the org project will not appear in the list of available forms to download in ODK Collect unless you are specifically added to the project with Can submit or higher permissions. This was done so that users have more control over what projects and forms are listed and shown in their own accounts.